Using Zapier you can connect and sync data between Practice Ignition and other products you use, like Slack, Mailchimp, Pipedrive and hundreds of others. Zapier provides triggers and actions for each product that it supports, including Practice Ignition. A Zap combines a trigger from one product with an action in another. Whenever the trigger occurs, Zapier automatically completes the action for you. You can use any of the following Practice Ignition triggers and actions to connect with other products using Zapier. Proposal Accepted - Triggers when a proposal is accepted by a client or on their behalf. Service Accepted by Client - Triggers for each service that is accepted as part of a proposal. For example, a proposal containing two services would cause this trigger to run twice, once for each service. Create Client - Lets you create a new Client in Practice Ignition. To get started you'll need a Zapier account. To sign up for a free account, go to the Zapier website. A Zap is a an automated workflow that connects a trigger to one or more actions. The easiest way to get started with Zapier is to use a pre-built Zap template. Click the button above, and browse the templates. If you find something you'd like to use, click "Use This Zap" to get started. 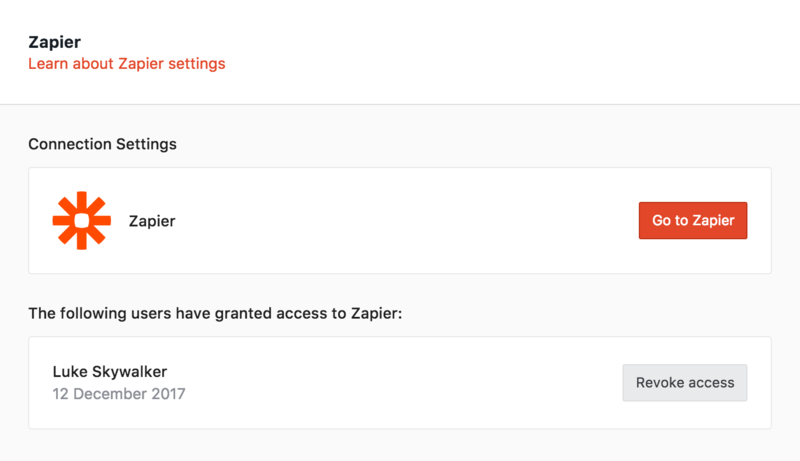 To access the full power of Zapier and all the available integrations, you'll need to create Zaps from scratch. Log in to your Zapier account and click "Make A Zap!" to get started. To learn more about creating Zaps, you may want to take a look at this page from the "Getting Started with Zapier" guide. You can see which users have connected to Zapier from within Practice Ignition. Your Practice Ignition account must be an Administrator in order for you to do this. You can choose to Revoke their access if required. This will break any active Zaps that they have created. If you have suggestions for additional actions or triggers please let us know! We'd also love to hear how you're using Zapier with Practice Ignition.